The next-generation JBL 305P MkII powered studio monitor makes legendary JBL performance available to every studio. With the revolutionary JBL Image Control Waveguide and refined transducers, JBL 305P MkII offers stunning detail, precise imaging, a wide sweet spot and impressive dynamic range that enhances the critical listening capabilities of any modern workspace. Featuring patented technologies derived from the JBL 7 Series and M2 Master Reference Monitors and, sporting a sleek, modern design, JBL 305P MkII delivers outstanding performance and an enjoyable mix experience at an accessible price. JBL 305P MkII is rated 5.0 out of 5 by 4. Rated 5 out of 5 by Hpmsound from Very pleased I had the LSR305. And wanted to build my surround sound setup. So I got a front wall set for my home studio. LCR are all JBL305 mkii and I sent my LSR305 to the rear. I am please with the sound and the new boundary EQ setting on them. And at the moment I have the LSR310s out since I am re treating my room since I moved. Rated 5 out of 5 by LordsReaper from Everything I could want and more. I'm pairing this with my Mac Pro for some video editing and I'm wanting more of these for my surround system now. Went through a couple of other so-called good speakers. One had problems on the left channel right out of the box. These are everything that I've seen on all the reviews and more. Couldn't be happier. Rated 5 out of 5 by JBL4Me from Happy Sound Junkie! I purchased two of the speakers several months ago for my computer, which is in a large studio bedroom. I love sound and all its high-mid-low ranges and hearing all its nuances. The typical computer speakers were not adequate for my listening preferences. These speakers have incredible sound. I had to place them on a bookshelf as the space in the room did not allow me to place them on separate speaker stands. Because of being placed on a hard, solid surface, I had to put Auray pads under them to prevent vibrations from deeper base. I also use a software equalizer (EqualizerPro) on my computer to maximize the sound and adjust the base depending on the source of the music/theatre I am playing. I also have a Flip speaker for my portable devices. People can believe the sound I get out of them. You can't beat JBL for sound. 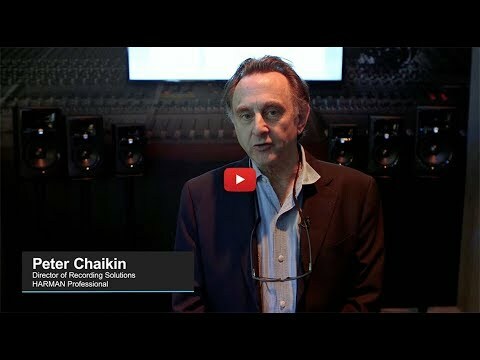 Rated 5 out of 5 by wildjim from Outstanding JBL 305P MKII Purchased two JBL 305P MKII studio monitors for a computer room studio, driven by external DAC and Amplifier with HI-RES flac wav source music files. I am really enjoying the outstanding high fidelity sound. I am using these in a studio environment, while standard &quot;computer speakers&quot; are designed to be use in close proximity to computers and monitors how far away do I need to keep these speakers away from computers to not harm or affect them? hello I recently purchased two of these speakers for mixing purposes. However, when I opened the box and set them up, I noticed the audio coming from the speakers didn't quite sound right at all. When I play audio through the speakers, there is no bass. Does the MKll version have less 'hiss' than the original LSR305? Hi! We would like to work with you directly to help you with your issue. Please submit a case request at http://www.jblproservice.com/forms/marcom.html and the Customer Service Team will be more than happy to assist you. These are made and designed in the US. Dear Sir, Can you please explain how crossover was implemented ? Does DSP delay tweater to obtain good &quot;Step response&quot;? Can you please show or send me Step response graph? 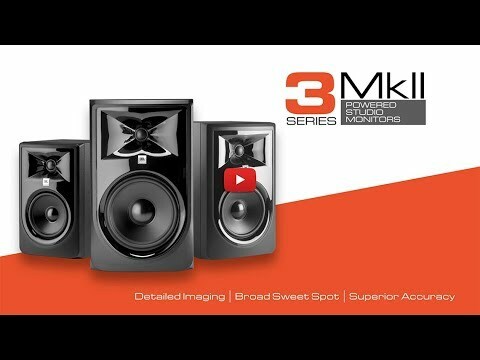 WHAT MONITOR SERIES IS SUPERIOR, THE (JBL 305P MkII) OR LAS (LSR305). ADD THE LSR SERIES AGAIN IN THE PURCHASE OPTION? WHEN? I want to buy 2 jbl 305p for my pc. Can I connect them directly to my pc or I must buy something more?